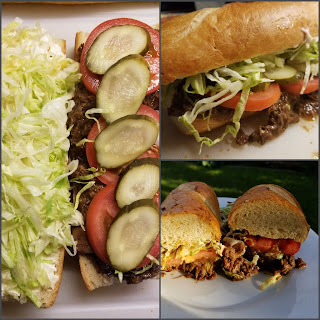 Parkway Bakery & Tavern Roast Beef Po Boy Recipe at Nola Cuisine! New Parkway Bakery Po Boy Recipe at Nola Cuisine! This is my humble nod to the Parkway Bakery & Tavern Roast Beef Po Boy! Be sure and check out my new site Nola Cuisine! In addition to the new Daube Creole recipe I've also recently posted a recipe for one of my favorite soups New England Clam Chowder at American Gourmand! Be sure and check out my new site American Gourmand in addition to Nola Cuisine! 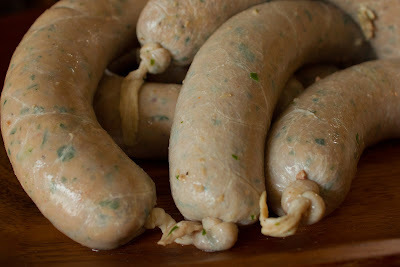 Check out my homemade Boudin recipe at my main site Nola Cuisine! Boudin is one of the things I dream about when thinking of Louisiana when I'm back home in Michigan. When the longing gets to strong, I make a big batch to enjoy for a few days! Boudin is great as a stuffing as well! 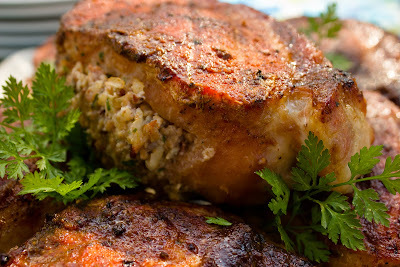 Here is a pick of my Boudin stuffed Pork Chops! Be sure to also check out my newest site American Gourmand which is the sister site to Nola Cuisine! From Martin's BBQ Joint - Nolensville, TN. Check out my new post at American Gourmand on my recent visit to Martin's Bar-B-Que Joint in Nolensville, Tennessee! Good eats here folks! Whole hog every Saturday! Be sure and check out my other websites Nola Cuisine and American Gourmand!! 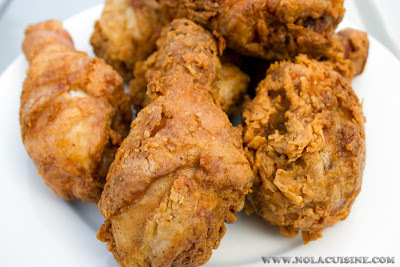 I just started my new site American Gourmand and I kicked off my posting with a dish near and dear to my heart, Buttermilk Fried Chicken! While I love working on Nola Cuisine as well as this blog, I need an outlet to explore other culinary pursuits; barbecue, pizza, sushi, charcuterie, etc., so American Gourmand is born! Next week I am off to Nashville for 4 days of Southern food exploration and hopefully a heck of a lot of great music too! 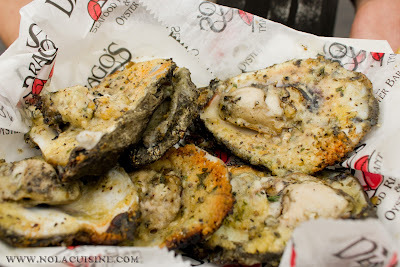 I finished my post yesterday on my visit to the Second Annual New Orleans Oyster Festival last month! I had a wonderful time meeting and hanging out with Seth McMillan of Bourbon House Seafood Restaurant at the event! New Orleans Oyster Festival 2011! Lots of great mouth watering pics! 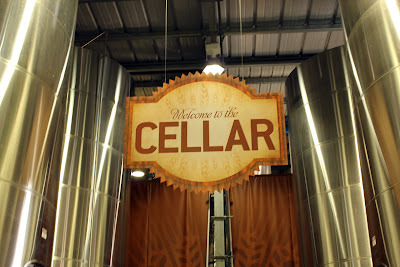 I just finished my newest post on my visit to the Abita Brewing Company Tour and Tasting Room. Two words: Free Beer. Good beer as much as you would like to drink with 15 varieties to try before and after the tour in the tasting room, what could be better than that! 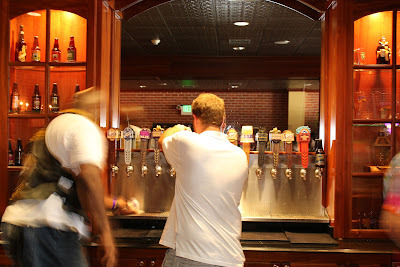 Here is a pic of the mahogany bar, which visitors can step behind and and fill their cups until their hearts content! Visit the whole post at Nola Cuisine here! Also be sure to check out my ever growing Index of Creole & Cajun Recipes which provides links to all of the recipes featured at Nola Cuisine!